This is a popular dish from our salad specials. 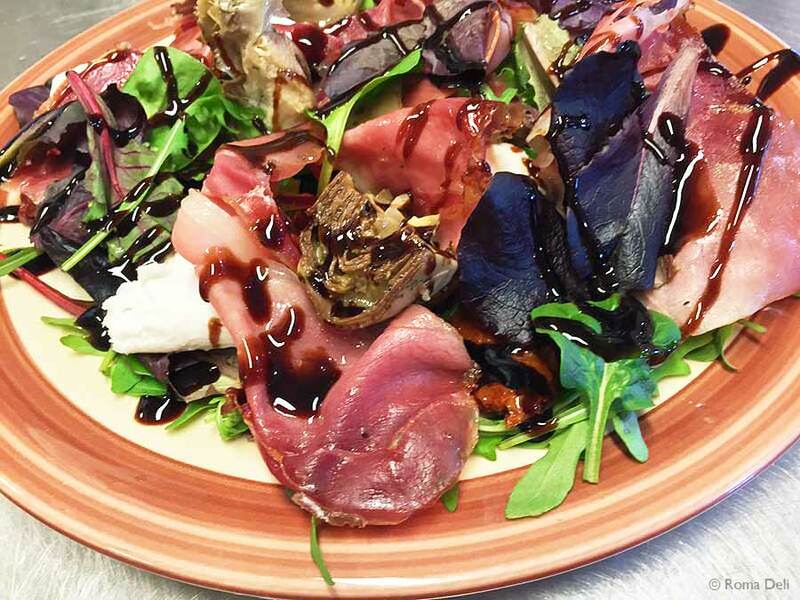 This is warmed speck (smoked, cured ham) with Mozzarella di Bufala, sun-dried tomatoes, artichokes and fresh rocket, drizzled with balsamic glaze and extra virgin olive oil. The warmed smoked speck compliments the fresh sourness of the Mozzarella di Bufala, the sun-dried tomatoes and balsamic glaze adds sweetness, the peppery rocket and earthy artichokes rounds this dish up nicely.